(WASHINGTON, D.C. — May 11, 2018?) – (RealEstateRama) — The Building Owners and Managers Association (BOMA) International conferred the BOMA 360 Performance Program®designation upon properties in commercial real estate markets around the world from Tampa, Florida, to Tokyo in the first quarter of 2018. 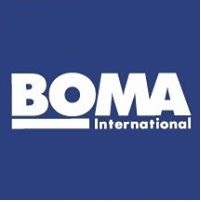 The BOMA 360 Performance Program evaluates commercial properties in six major areas: building operations and management; life safety/security/risk management; training and education; energy; environment/sustainability; and tenant relations/community involvement. Since the program’s inception in 2009, more than 1,800 designations have been conferred in more than 70 markets worldwide, totaling more than half a billion square feet of commercial space. Earning a BOMA 360 designation offers buildings tangible results, measured through higher tenant retention and satisfaction scores, higher rental rates and documented operations and management savings and efficiencies as reported in designee surveys and by Kingsley Associates. Owned by: 300 Capitol Associates NF L.P. Owned by: Piedmont Operating Partnership, L.P. Owned by: ABP Borrower Inc. Managed by: Oracle America, Inc. Owned by: Oracle America, Inc. Managed by: Konwa Building Co., Ltd. Managed by: Brookfield Properties Management (CA) Inc. Managed by: Oracle America Inc. Owned by: Oracle America Inc. Owned by: Third Avenue Associates, Ltd.
To view all the buildings that have received the BOMA 360 designation, visit the BOMA 360 building listings webpage. For more information about the BOMA 360 Performance Program, visit www.boma.org/BOMA360.